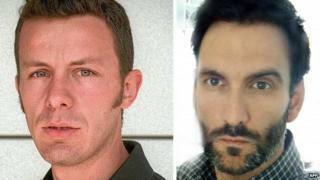 Two Spanish journalists kidnapped in Syria six months ago by radical Islamist rebels have been released. Spanish newspaper El Mundo said its Middle East correspondent, Javier Espinosa, had phoned the newsroom to say that he had been freed along with photographer Ricardo Garcia Vilanova. Mr Espinosa said they had been handed over to Turkish soldiers. Scores of journalists are believed to have been kidnapped or killed by rebel fighters in Syria. Mr Espinosa and Mr Vilanova were seized by the Islamic State of Iraq and the Levant (ISIS) near the Turkish border in September. El Mundo said at the time the two journalists had been trying to leave Syria at the end of a two-week reporting mission when they were taken. Four members of the Free Syrian Army - the main Western-backed rebel group - who were protecting them were also captured but later released. The Spanish daily said the kidnapping was initially kept quiet at the request of the men's families. Many kidnappings have been played down in the hope of aiding negotiations. The journalists are expected back in Madrid on Sunday, the paper said. In December, 13 major international news organisations signed a letter urging Syrian rebel groups to stop kidnapping journalists, and to free those who are currently held. Correspondents say ISIS assumes that all foreign journalists and aid workers in Syria are spies and has issued orders to arrest them. The high risk of kidnapping has made many rebel-held areas of Syria no-go areas for most foreign journalists. The Free Syrian Army's political wing - the Syrian National Coalition - says it is committed to protecting journalists, and securing the release of hostages. Mr Espinosa has been a Middle East correspondent for El Mundo since 2002 and is based in Beirut. Mr Vilanova has worked for various news outlets including the New York Times, the Washington Post and the AFP news agency. The group Reporters Without Borders has called Syria the most dangerous country for journalists. It says 17 foreign journalists and more than 20 Syrian news providers are currently being held hostage by rebel groups or are missing, while about 40 Syrian professional and citizen journalists are being held by the government. Many others have gone missing since the conflict began in March 2011. More than 100,000 people have died since rebels took up arms against Syrian President Bashar al-Assad. The conflict has displaced five million inside the country and created another two million refugees.